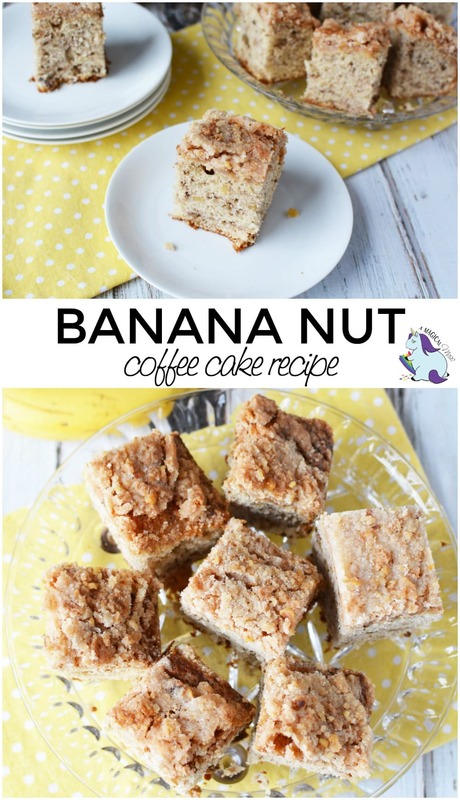 This banana nut coffee cake recipe is a tasty treat for breakfast. The flavor is not overly sweet, and the crunch of the nut combined with the softness of the cake is just what the taste buds crave. If you’re looking for a way to use up ripe bananas, add this banana nut coffee cake to your list of recipes. 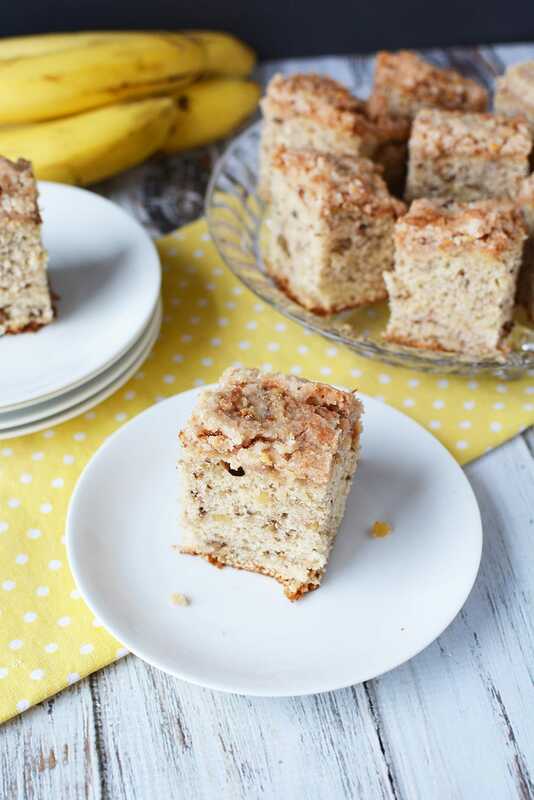 Banana nut coffee cake is excellent for family gatherings that take place around brunch time. If you have guests staying with you, wake them up with the delicious aroma of freshly baked banana bread. 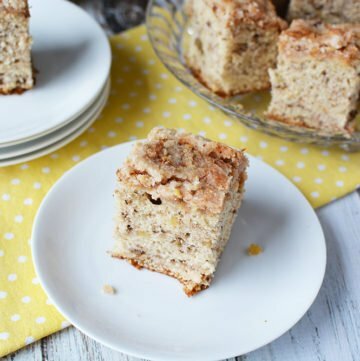 Banana coffee cake hits the spot all year round. Preheat oven to 350 and spray a square baking pan with nonstick cooking spray and set aside. In a small bowl, add 2 cups flour, baking powder and salt. Mix well and set aside. In a mixing bowl, add 1/2 stick (1/4 cup) butter and 3/4 cup sugar. Beat for 3 minutes. Add flour mixture and milk and beat just until combined. In a small bowl, add remaining 1/2 stick (1/4 cup butter), 1/3 cup flour, 1/2 cup sugar, cinnamon and walnuts. 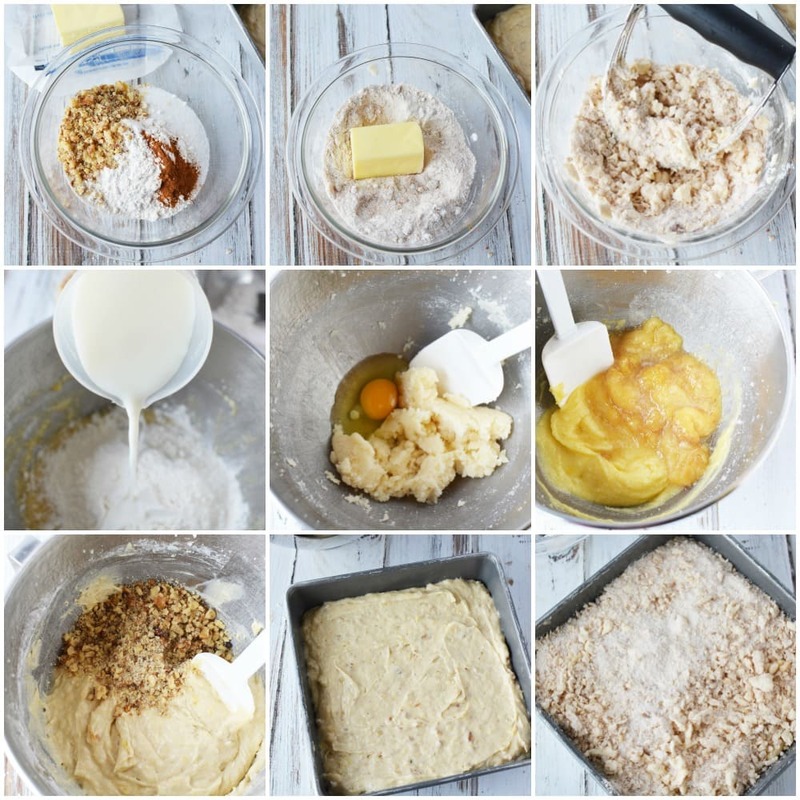 Use a pastry blender to blend all ingredients together until you have small pea-sized chunks. Spread mixture on top of batter in pan. Bake for 25-30 minutes or until toothpick inserted in the center comes out clean. Let cool completely before cutting into squares. 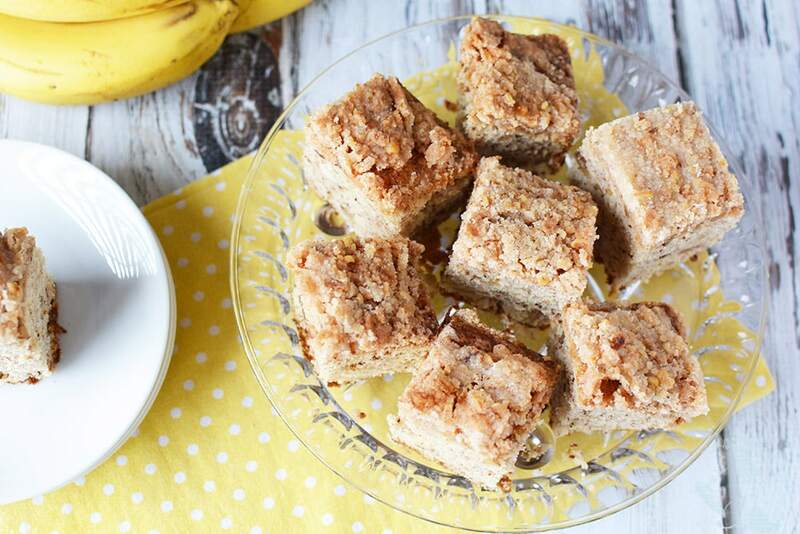 Do you think you would like these banana nut coffee cake squares? My family would love this cake! I like the recipe.